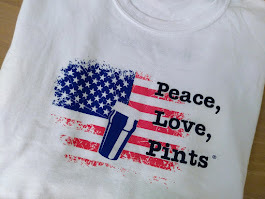 Sept. 11, 2018: When a father and son have a collective thirty years of homebrewing experience between them, it might be accurate to say that they love beer. It's a family affair at Tabula Rasa Brewing, the newest brewery to open in Jacksonville, Florida, as the Peterson family is scripting its future and looking forward to sharing what they love to do with the community. The brewery welcomes the public with a Grand Opening on Friday, September 14 at 4pm. Situated along McCoy's Creek in what's known as the "Railyard District," the venue is housed in the former Mixon Art Studios. A large greenspace to the side and rear of the property provides a serene setting in an industrial area. 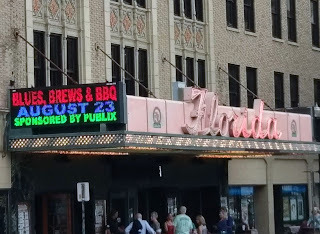 August 27, 2018: An entertainment venue such as The Florida Theatre usually evokes thoughts of "sights and sounds." On Thursday, August 23, attendees at the annual Blues, Brews and BBQ fest, held at the historic downtown Jacksonville landmark, could also add the sensory perception of "tastes" to the repertoire, as this event featured lip-smackin' sips and bites from local breweries and restaurants. 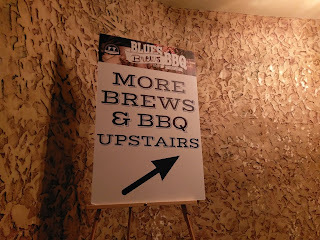 From the bales of hay at the check-in doors to the red-checkered tablecloths and aromas of barbecue throughout, the theatre was transformed into a tasty night of food, craft beer, and music. August 22, 2018: Some things just go together. Beer and Sports. Thunder and Lightning. Tampa and Beer. Tampa and the Bolts. Even with Heat and Humidity, Tampa and Hockey go together. So much so, that from the minute one steps into Tampa, there's an unmistakable feeling of a magnetic display of affection between the Tampa Bay Lightning, its fans, and the city. Seems like just about everyone in this "city by the bay" is a Bolts fan. 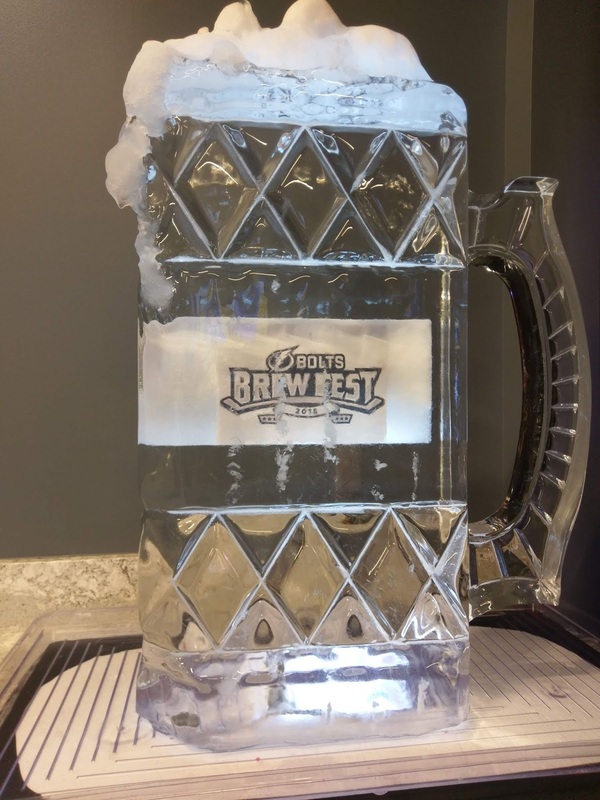 On August 17, 2018, the Lightning and its home ice, Amalie Arena, hosted the second annual Bolts Brew Fest, which featured over 50 breweries and an array of activities for fans of beer and Bolts alike. Talk about "chilling out!" First, let's get a little personal: my first trip to Amalie Arena was in 2015, when I attended two Stanley Cup Finals games between the Chicago Black Hawks and the Tampa Bay Lightning. Hey, I'm a Midwest transplant from the Chicago area and grew up a Hawks fan. During that season, though, something happened: I found myself rooting for the Lightning to get there! Could that really happen: a magical Stanley Cup Final in Florida? Yeah, it did. The Tampa fans were awesome, and the venue and team provided an amazing fan experience. 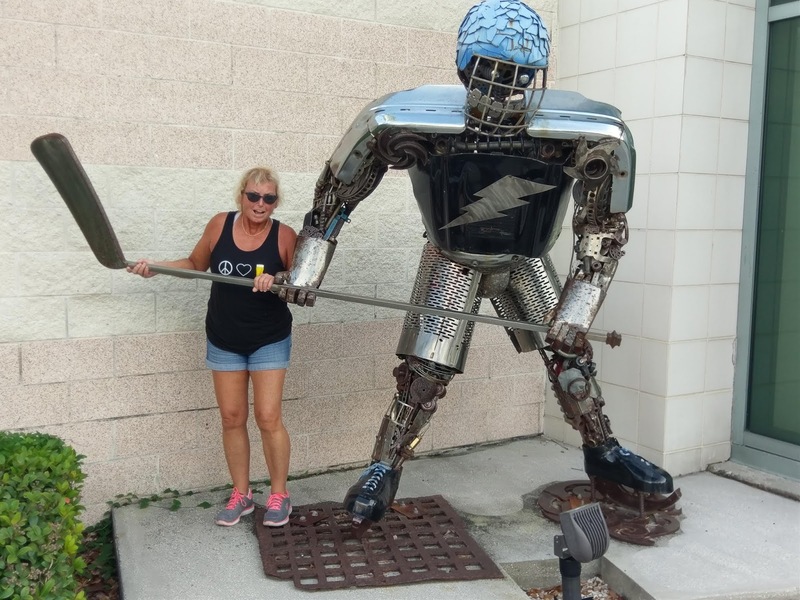 Outside, around the Arena and in Thunder Alley, there are larger-than-life images of Lightning players and statues that allow for plenty of photo ops for locals and visitors. It's all fun and hockey. There's simply no way one can't get caught up in all of the excitement surrounding this team. 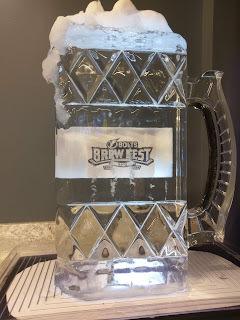 Fast forward to Bolts Brew Fest 2018. Yulee Gets a Brewery: Hello, SJ Brewing! Welcome! 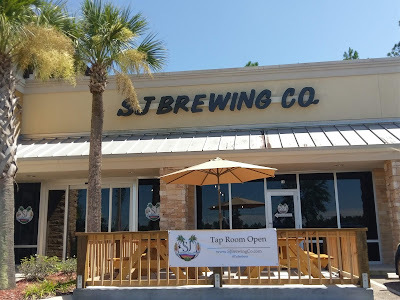 The first brewery in Yulee, Florida: SJ Brewing Co.
August 13, 2018: With the influx of new breweries dotting the landscape across the country, it's no surprise that several new area breweries are coming on board in various locations around the North Florida/Jacksonville metro area during the last few months of 2018. One of them opened its tap room on Saturday, August 4 (this site visited the new digs on opening day). 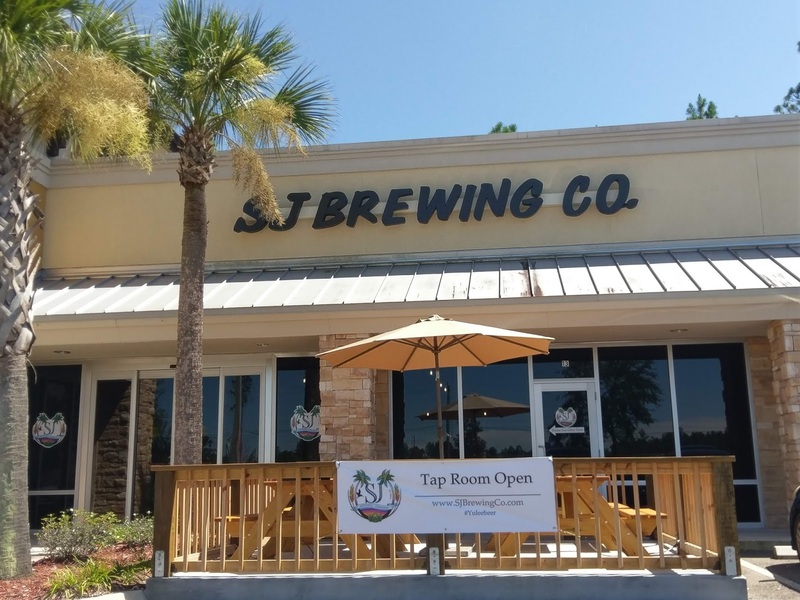 Say Hello to SJ Brewing Company, the first brewery to open in Yulee -- for those of you who don't know, that's in Nassau County, just north of Jacksonville. Although the tap room is currently serving guest beers from local and regional breweries on its twelve taps, look for house beers to start flowing soon. The bar also offers wines and sodas. The venue offers indoor and outdoor seating. Inside, the tap room features a bar on one side, plenty of space to move around, and ample seating at individual tables and chairs. Guests can watch two TVs or play an assortment of table and board games. The brewhouse sits in the back, on the other side of a half wall. Outside is a deck with umbrellas for enjoying beer in the sunshine and breezes. Artwork on the tap room wall features the labels of the new brewery’s upcoming five core beers: Yulee Pale Ale, Bunny Brown Ale, I Gose With You, Stop Jonesing IPA, and Battle Plan Imperial Stout. ED. NOTE: 10/30/2018: THE TAP LIST HAS BEEN RELEASED. EACH BREWERY WITH TWO RARE, UNUSUAL, OR ONE-OFF BEERS, PLUS A CADRE OF PROOF BREWING BEERS. Beers of all different colors, flavor profiles and styles will again flow in Tallahassee at the 6th Annual Florida Tap Invitational craft beer fest hosted by Proof Brewing Co. The annual fest takes place over Friday evening and Saturday afternoon, on tap this year for November 2-3. The event itself may be as unique as the beers that the craft beer enthusiasts will find pouring from the taps on Saturday afternoon. 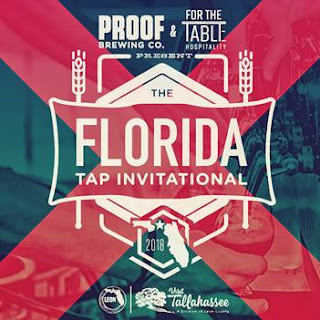 Over 40 Florida breweries are invited to attend the beerfest, and there's a catch: the beers (over 100 of them) are one-offs, rare, or maybe so mysterious such that they've never been seen outside of the individual tap rooms. Brewers and brewery reps will be on hand to discuss the beers and the flavors (how did you come up with that?). From the pucker of the sours to roastiness of the imperial stouts to the bitterness of the hop-forward IPAs to the nuances of various ingredients, craft beer aficionados will find delight in their glasses, while palates are pleased. July 11, 2018: Maybe you live in the Tampa area and are already familiar with the ever-ascending number of craft breweries calling the metro area home. Maybe you live in another part of Florida, or even outside of the Sunshine State, and make a visit across I-4 or I-75 now and then to catch some sun or suds. So, go ahead and take a hike if you're in, around or heading to Tampa, because this is one trail that will keep you moving along! 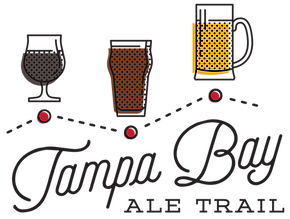 Season Two of the Tampa Bay Ale Trail ("TBAT") begins Saturday, July 14, and it's even bigger this year! Launched in 2017, the incentive passport program "encourages locals and visitors alike to visit our region's craft breweries and enjoy their great beer," said TBAT founder Mike Dyer in a statement. 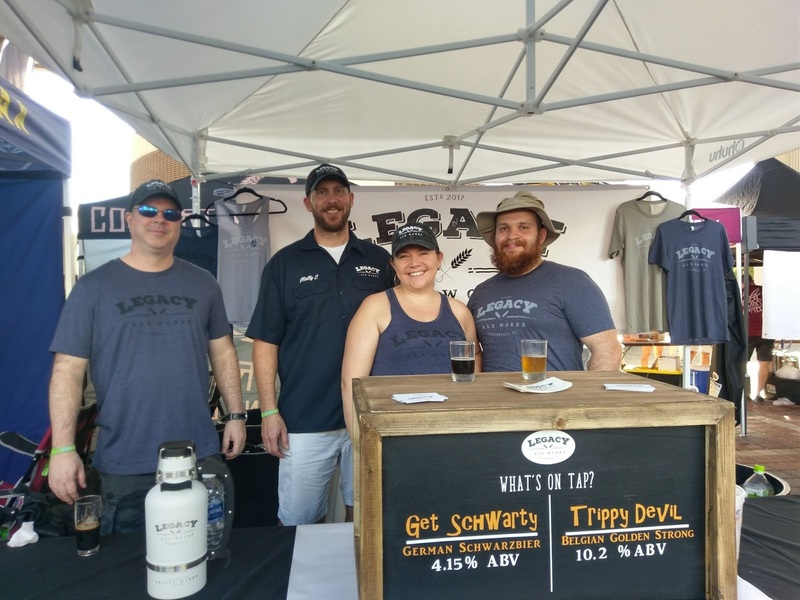 This year, almost 70 breweries from Sarasota to Brooksville on the north-south to Lakeland on the east are participating in the TBAT, making it one of the largest ale trails in the country. In its inaugural year, over 2000 program "hikers" (as they are affectionately called) set out on the trail, with over 100 having visited all 47 Season One locations. An impressive 500 hikers visited at least seven breweries. One exuberant enthusiast visited all 47 breweries within one month, added Dyer. "That's dedication to local craft beer." The Annual US Open Beer Championship winners have been announced. Over 6300 entries in over 110 categories were entered in this year's competition, which includes beers from around the world brewed by professional brewers and award-winning homebrewers. Congratulations to all, and especially to a number of Florida breweries who earned Gold, Silver and Bronze medals. The Most Creative Beer Name included "Weapon of Mash Destruction," by Main & Six Brewing, coming in at No. 4. July 6, 2018: Get your summer checklist ready, Jacksonville! Local Barbecue. Local Beer. Local Music. Check! The Florida Theatre hosts its annual Blues, Brews and BBQ summer party on Thursday, August 23. One of the tastiest events to headline around the city, you'll be singin' the Blues, Brews and BBQ upstairs and downstairs at the historic theatre with the body-swaying sounds of blues music on the stage, while your taste buds delight in the revelry provided by the tantalizing barbecue, complemented by an assortment of craft beer. 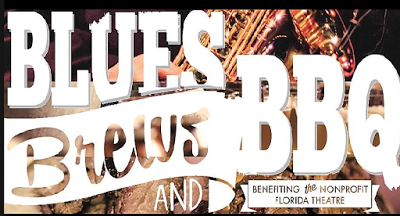 Presented by Publix Supermarket Charities, a number of local favorites will once again serve unlimited samples of barbecue and beers, while the sounds of live continuous music by The Snacks Blues Band and Beale Street fill the air. 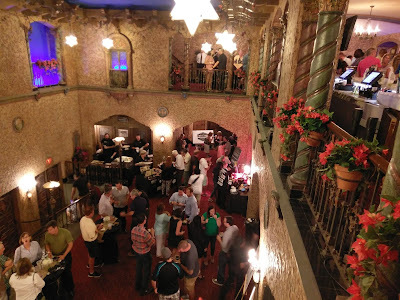 "There is a natural alliance between the Florida Theatre, one of our city's premier arts institutions, and the best craft professionals working in our city's culinary arts' community," said Numa Saisselin, Florida Theatre President. 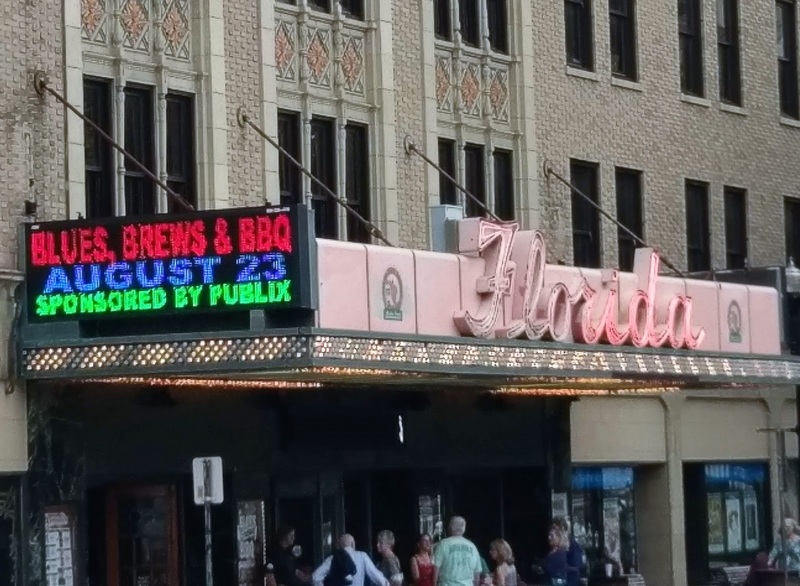 "For $50, you get all the local craft beer you can drink and all the local BBQ you can eat, plus four hours of continuous live Blues music by two of our city's best Blues bands ... and it all benefits the historic, nonprofit Florida Theatre." 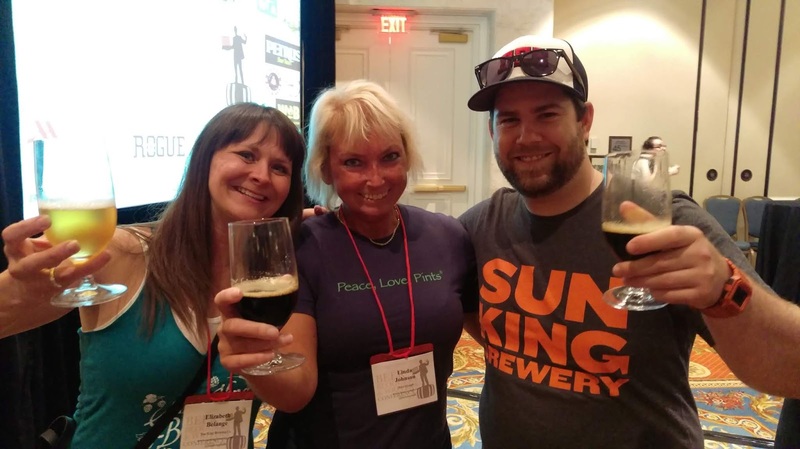 Indianapolis brewery Sun King Brewing Company is bringing its beers to the Florida market beginning this month through distribution with Cavalier Distributing. According to Carolyn Lowrey Graham, Florida Sales Development Manager for Cavalier Distributing, the brewery's core beers will start hitting the Florida market this week. 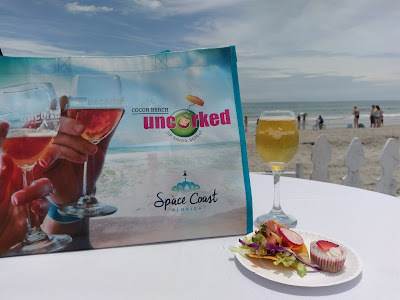 A series of launch events is scheduled for the week of July 16 around Jacksonville, which is the first Florida area to host events welcoming the brewery to the Sunshine state. Sun King Brewing was founded in 2009, and it began canning its beers in 2010. It has earned multiple medals at major beer competitions, including Great American Beer Festival (GABF) and the World Beer Cup, from 2011 through 2017. Its core beer lineup includes: Sunlight Cream Ale (Gold Medal Winner at 2015 GABF; Silver Medalist at 2010 World Beer Cup); Wee-Mac Scottish Style Ale; Osiris Pale Ale; SKB IPA; and Pachanga Mexican Style Lager (which was available at Engine 15 Brewing, Jax Beach, for Cinco de Mayo). 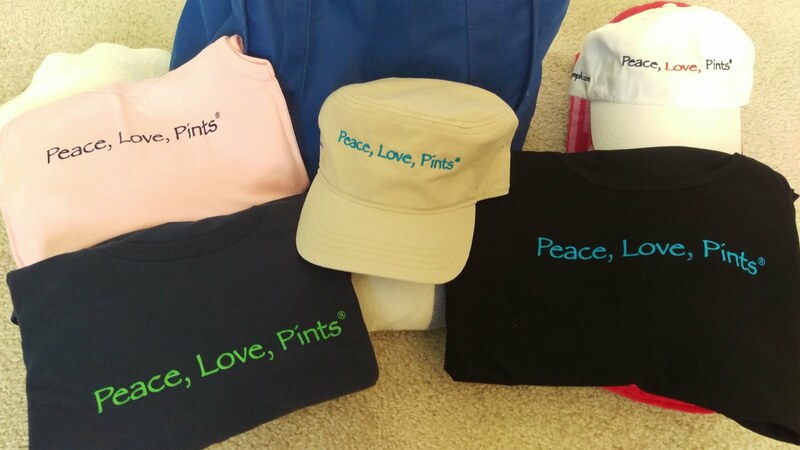 July 20: Beer:30 San Marco, Jax 5-7pm. Look for a few specialty/seasonal kegs to also be on tap during the launch events, added Carolyn Graham. 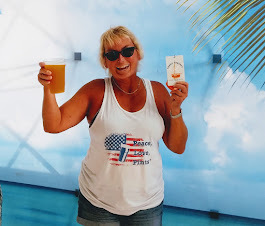 Welcome Sun King Brewing to Florida! 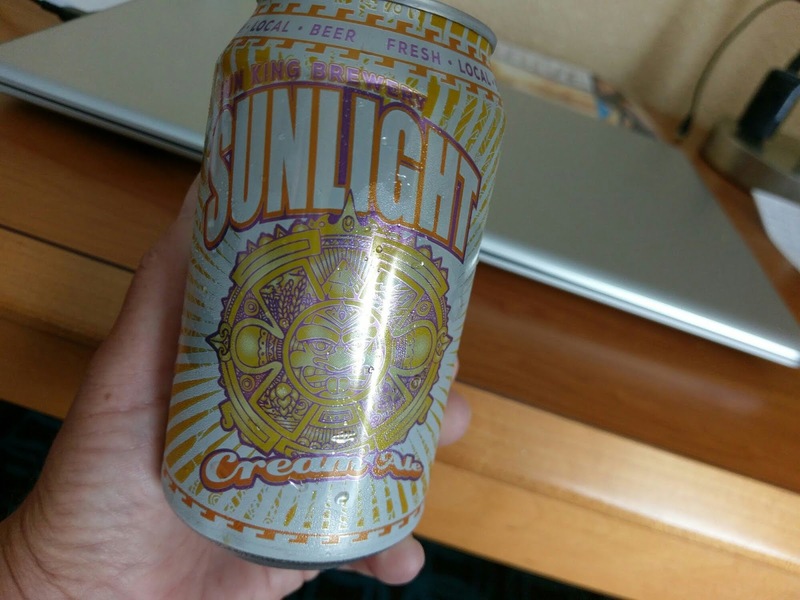 On a personal note, this writer is no stranger to Sun King beers (and, yes, I'm originally from Indiana). The inaugural taste of the flagship Sunlight Cream Ale came at the 2015 Great American Beer Festival in Denver, where the beer won a Gold Medal. The beers have also regularly found their way into suitcases on Indiana trips, most recently last month. 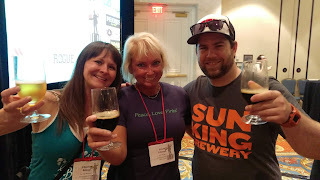 Sun King Brewing also attended the 2018 Hunahpu's Day Beer Festival in Tampa in March, where this writer's last beer of the day was Sun King Brewing's SKB IPA. Cheers to another great addition to the craft beer market in Florida! Further to social media posts earlier this week, Jacksonville brewery-in-planning Legacy Ale Works announced today via formal statement that it obtained re-zoning approval from the City Council by a 15-0 vote this past Tuesday evening. 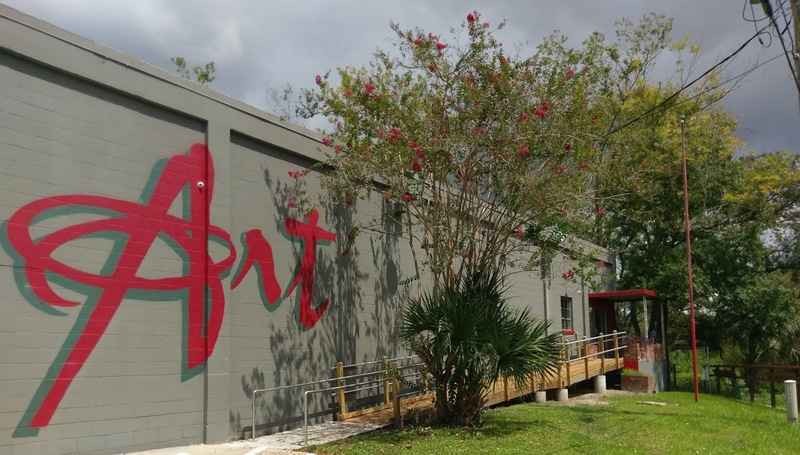 In early March, the new brewery announced that after months of searching, it had signed a lease at 14965 Old St. Augustine Rd., Suite 129, Jacksonville. The space is located at the corner of US 1 and Old St. Augustine Rd. in the Bartram Park area. Now that the zoning process is behind them, brewery owners Matt and Liz Jacobs will begin construction on the 3300sf space that will be home to the brewery and tap room. "We are excited about the next steps in our journey," said Liz Jacobs. "Our equipment has been delivered, and our plans will be ready to submit to the city for review and approval sometime next week." Legacy Ale Works intends to bring its "easy drinking" beers to its new tap room on the south end of Jacksonville, just north of the St. Johns County/Duval County line. 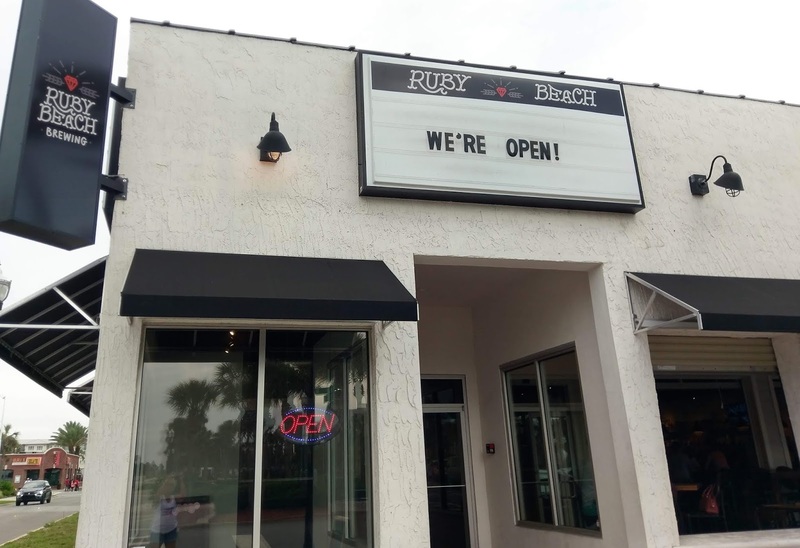 While "selecting this location was very important to us," said owner Matt Jacobs, he added that the new brewery aims "to serve an area of Jacksonville that does not currently have many craft beer options. The response we have received from the community so far has been very encouraging." 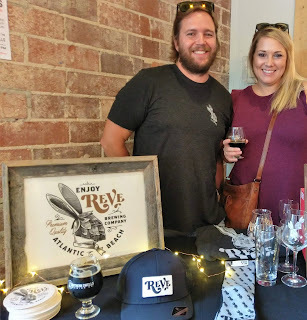 Matt and Liz Jacobs have offered samples of the house-brewed beers at appearances around the Jacksonville area, beginning last summer at Beer:30 San Marco. 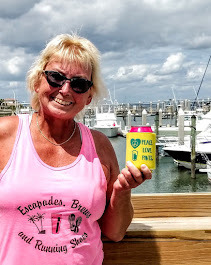 They also poured their beers at Jacksonville PorchFest last November, at Riverside Craft Beer Fest in February, and twice at Hogtown Craft Beer Fest in Gainesville last year and earlier this year. 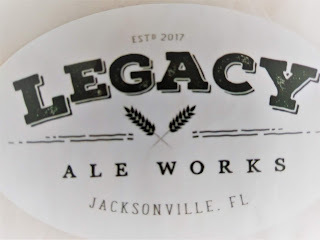 Legacy Ale Works will appear at Brewz Bartram Park, 14866 Old St. Augustine Rd., on Saturday, June 30, at 2pm, where they will pour samples of their beers and meet and greet the public. 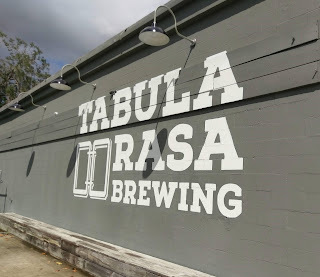 This time, in addition to talking about their beer, they will now be able to discuss their new location and construction plans. With their 3.5-barrel brewhouse, the new brewery will offer a wide variety of beer, from light lagers and pilsners, to hoppy IPAs, porters, and stouts, in order to "appeal to all different tastes and preferences." In addition to beer, the tap room will also serve wine and non-alcoholic craft sodas for non-beer drinkers. Legacy Ale Works plans an early Fall 2018 opening, with an estimated 8-12 week construction timeframe. Congratulations to Legacy Ale Works, and stay tuned for more progress updates throughout the summer! 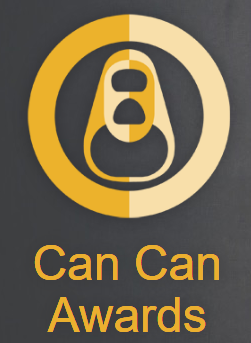 June 20, 2018: The Annual Can Can Awards, a competition for canned craft beers, have been announced. Over 350 beers were submitted for the two-day blind taste-test judging in Atlanta, Georgia. The BJCP-sanctioned competition awarded medals in 36 categories. 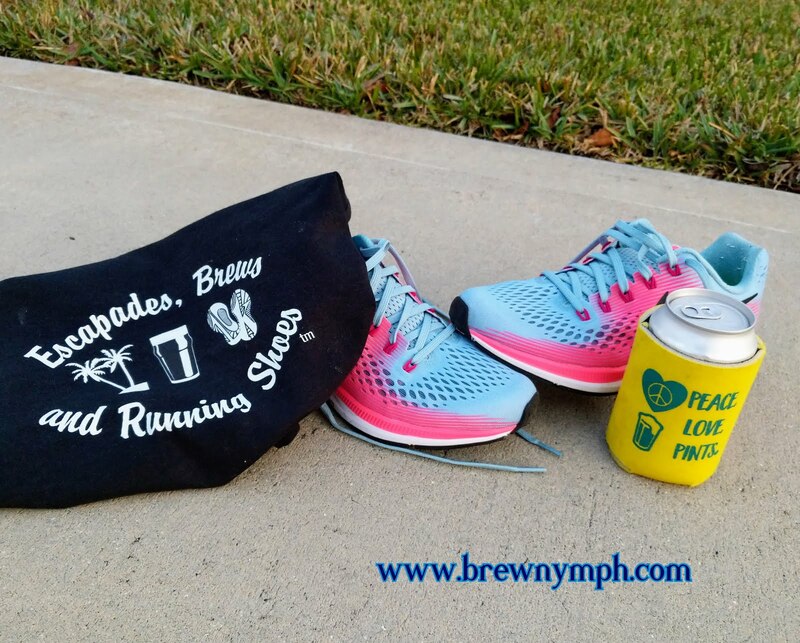 To earn medals, a beer must have received between 30-50 judging points. Based on the point system, some categories only awarded a Gold Medal. A full list of the medalists can be found HERE. 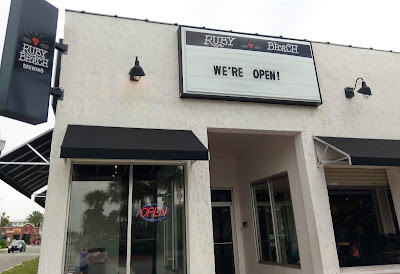 May 30, 2018: Ruby Beach Brewing quietly opened over the Memorial Day weekend. The most recent addition to the Jacksonville area's craft beer scene announced its opening on Saturday, May 26 through its Facebook page. Set in the former Zeta location, Ruby Beach Brewing underwent a re-branding and a physical renovation during the first half of 2018. 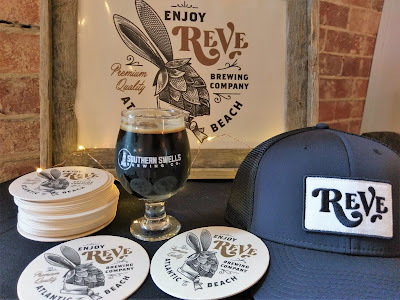 Word of the closing of Zeta and re-branding to the new concept surfaced in a January 8 press release by Owner Mark Vandeloo, in which he expressed a renewed focus on craft beer. 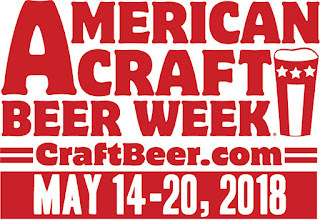 May 14, 2018: With over 6,300 breweries in the U.S. (98% of which are "small and independent craft breweries"), you're sure to find a beer to raise for a toast to American Craft Beer Week! 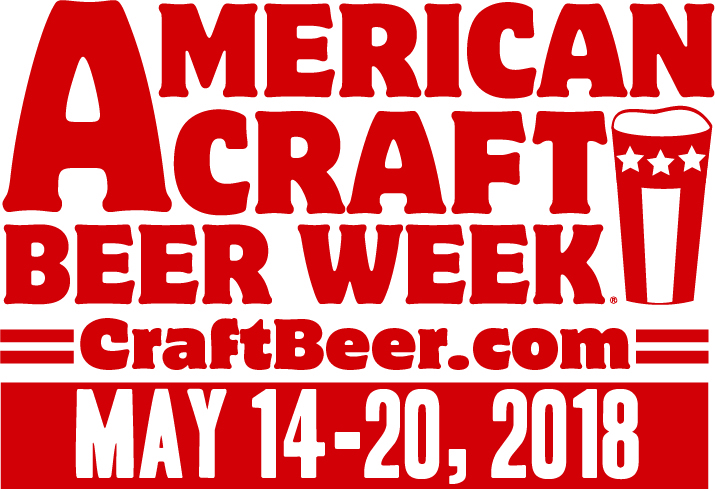 2018 marks the 13th year for the annual week-long celebration of craft breweries as defined by the Brewers Association. From breweries and tap rooms to craft beer bars and restaurants to bottle shops, it's a nationwide party to recognize the creativity, passion, and collaboration that represents the craft beer spirit, not to mention the tastes that we love! April 26, 2018: It had: over 100 breweries, six homebrew clubs, 47 special tappings, nine pods, food trucks, music under the pavilion, plenty of on-site parking ... even rain and sunshine. 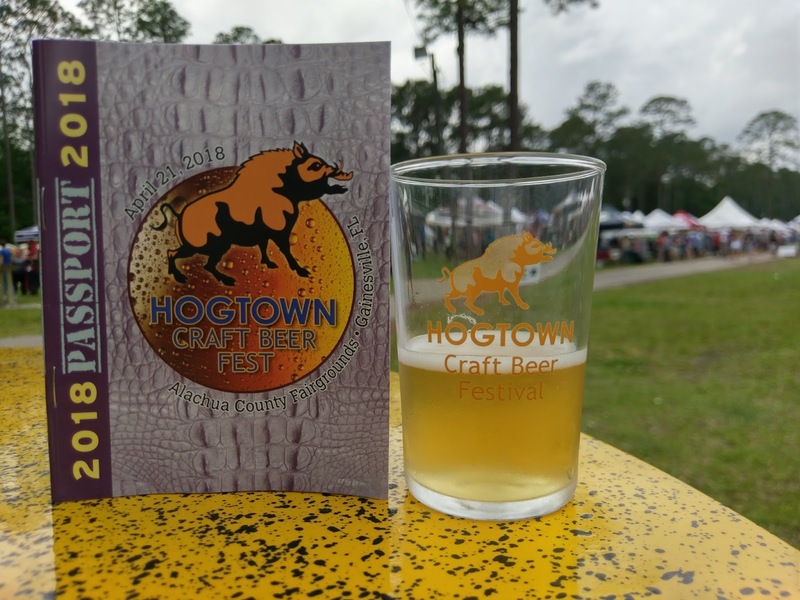 The 7th Annual Hogtown Craft Beer Fest presented by the Hogtown Brewers on April 21 pretty much had it all at the Alachua County Fairgrounds, a new fest venue this year. This was my sixth trek to Hogtown, and the beertrip once again included more than a beerfest -- it's a Gainesville weekend! April 11, 2018: It's been just about a year, and two Jacksonville-area breweries have gone from planning to opening to operating and getting over that first-year hurdle. As they celebrate their one-year anniversaries in May and head into Year Two, catch up with the "former" newbies, Atlantic Beach Brewing Company ("ABBC") and Hyperion Brewing Company ("HBC") on what that first year's been like for each of them. 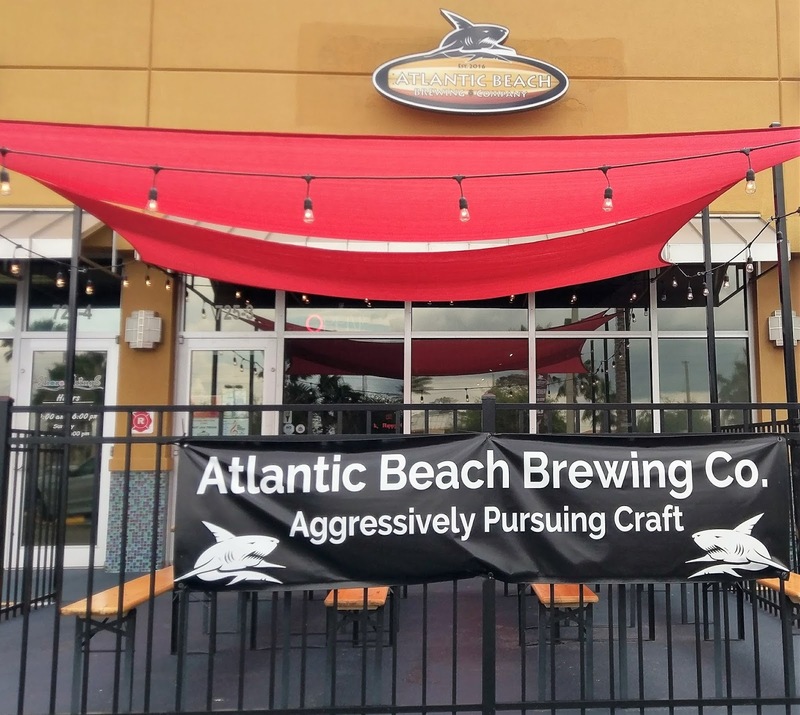 That distinctive shark loomed over the bar when Atlantic Beach Brewing Company hit the shores of Jax on opening day 2017. With the motto of "Aggressively Pursuing Craft," co-owners Spencer Horn, Linda Horn and Chuck Horn and Brewmaster Rory Malloy have expanded the draft list, released several specialty bottles, and began canning and distributing three core beers ahead of schedule. 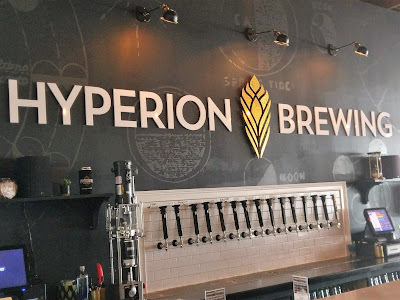 Over in the Springfield neighborhood of Jax, Hyperion Brewing introduced the community to its "Bold, Rebellious Beer" concept, with constantly-rotating taps. 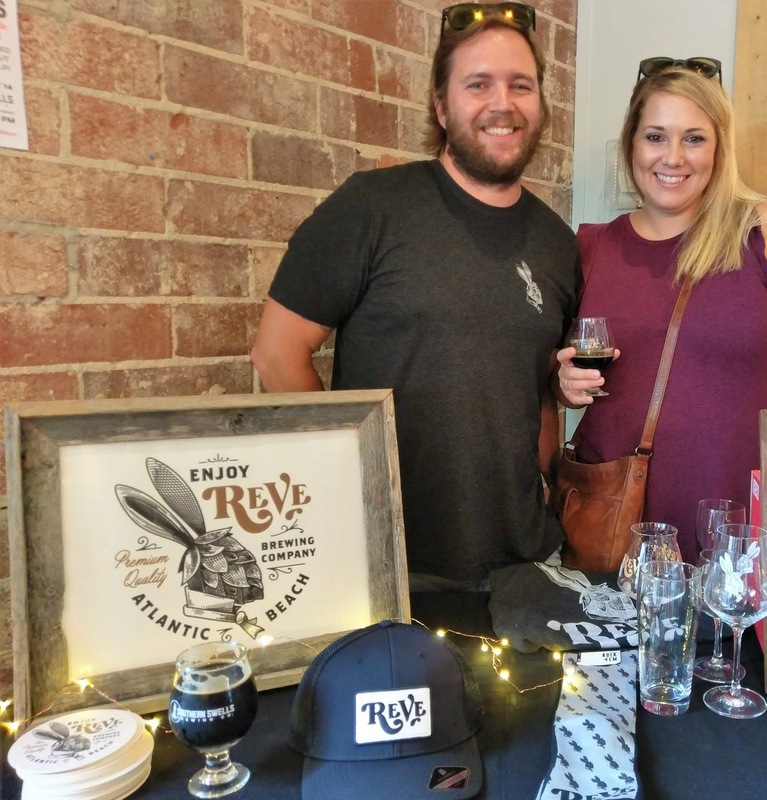 Through the course of the year, owner Alex McKeown and the brewery staff have engaged the local community in a number of hosted events, along with tapping over 200 new beer recipes. 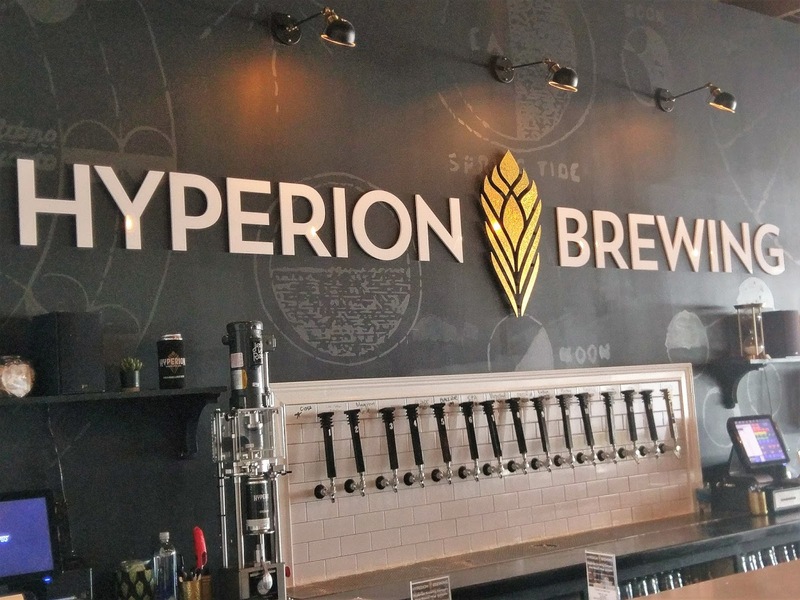 Listening to its customers, Hyperion will bring several of the most popular beers on board on a regular basis in Year Two. So, how's brewery life been treating you? Let's find out what they had to say. At Shrimp & Suds Craft Beer Fest in March. 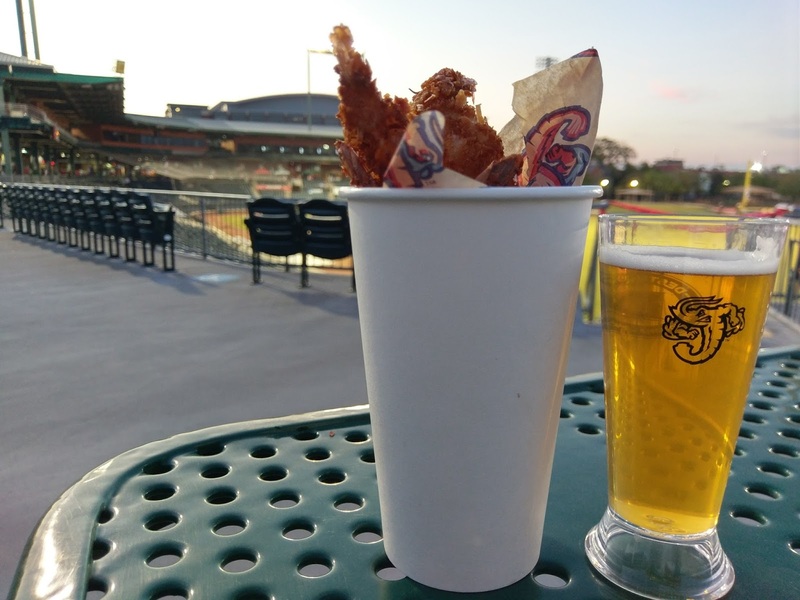 April 9, 2018: The first official pitch at the Baseball Grounds of Jacksonville isn't until Wednesday, April 11, but the Jacksonville Jumbo Shrimp have already hosted Shrimp & Suds Craft Beer Fest and a media preview day at the ballpark with early looks at the team, the field, and new menu items for 2018. Baseball season is underway, both on the major and minor league schedules, and the Jumbo Shrimp (AA Affiliate of the MLB Miami Marlins) take the field at 7:05pm Wednesday night to begin a five-game home-opening series against the Mobile BayBears. Last year's opening homestand, with an attendance of 41,276, was the highest-attended series in the ballpark's history. Boulder, CO, March 20, 2018: The Brewers Association has issued its revised Beer Style Guidelines for 2018. Updated annually, the Guidelines are used as a "model resource" for brewers and competitions, and these revisions will be in effect for this year's Great American Beer Festival (GABF). The new Guidelines include "hundreds of revisions, edits, format changes and additions," according to a statement issued by the Brewers Association today. In addition, several new categories have been created to respond to current trends. Most notable is perhaps the formal recognition of Juicy or Hazy Ale Styles, generally known as New England IPAs or West Coast Hazy IPAs. The three official styles are identified as "Juicy or Hazy Pale Ale," "Juicy or Hazy IPA," and "Juicy or Hazy Double IPA" in the new Guidelines. 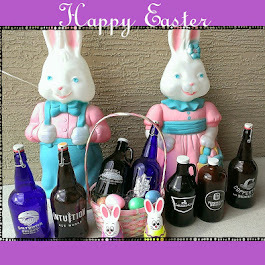 Other modifications include the addition of "Contemporary American-Style Pilsener," a category which reflects commercial sessionable lager beers with higher hop aroma than found in pre-Prohibition style beers; and a restructuring of the Australian Pale Ale category into separate styles of "Classic Australian-Style Pale Ale" and "Australian-Style Pale Ale," which generally address the differences in color and hop aroma- and flavor-forward characteristics. The Guidelines also edit the Gose and Contemporary Gose categories. The Brewers Association points out that factors in revising the Guidelines include historical significance, authenticity or a "high profile in the current commercial beer market." Major changes, such as style additions, are the result of "research, analysis, consultation and consideration of market actualities." Further, current commercial products may not fit within the historical parameters, but rather represent a modern version of a style, explains the statement.